After admitting on Facebook that I was unable to cut a watermelon in under an hour, a friend from high school shared with me the fast and easy way she gets the job done. 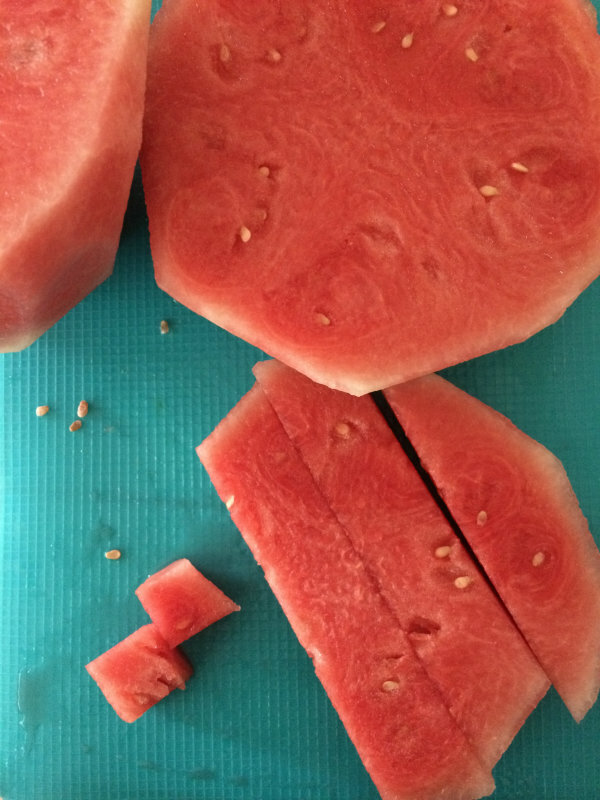 I tried it out for myself and was absolutely amazed at how quickly I was able to cut a rather large watermelon; we were snacking on it in less than 15 minutes (the extra 5 minutes was needed to remove seeds for my little ones). Here's what you do: cut off both ends of the melon, then stand it upright. Using a downward motion, slice the rind from all sides; you'll be left with a sort of barrel-shaped melon with no rind. 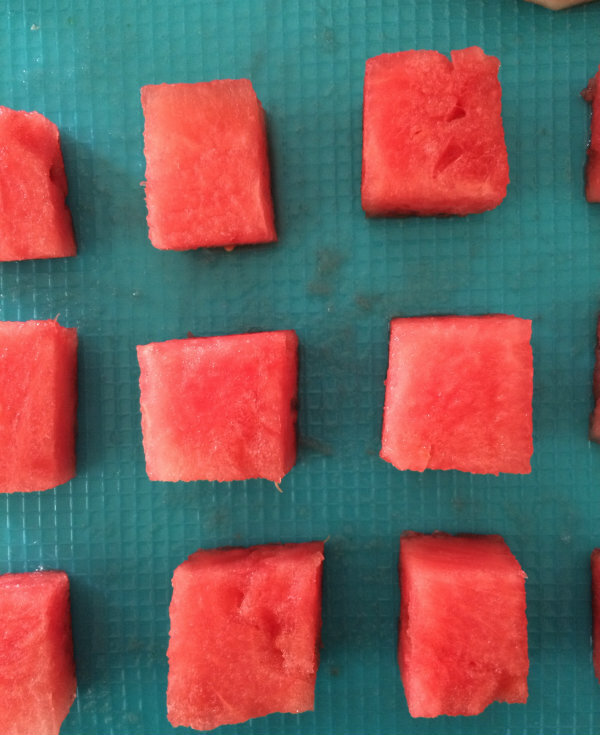 From there, lay the watermelon on its side and cut 1-inch thick slices (they'll look like discs). Now slice each disc into strips, then the strips into cubes. Enjoy! I'm telling you, it's a life-changing method.